A unanimous ruling for religious freedom, and a rebuke to Obama. It was a banner day for religious freedom yesterday as the Supreme Court ruled that government can’t tell religious institutions whom they can hire and fire as “ministers.” The unanimous decision was a crushing rebuke to the Obama Administration, which had taken the radical position that churches are little different from any other employer in job disputes. In the High Court’s latest support for the First Amendment, all nine Justices upheld what’s known as the “ministerial exception” in employment disputes, recognizing a healthy degree of autonomy for churches, synagogues and other houses of worship. In Hosanna-Tabor Evangelical Lutheran Church and School vs. Equal Employment Opportunity Commission (EEOC), Cheryl Perich had worked as a religiously affiliated or “called” teacher at the Lutheran school, teaching math and music as well as leading students in prayer. In 2004, she took a medical leave for narcolepsy, a sleep disorder. When she sought to return, the school declined, and she was eventually voted out by the church congregation. Ms. Perich and the federal EEOC sued for backpay, reinstatement and damages. The Court rejected the EEOC’s argument that in order to qualify as a minister, an employee should have to spend a certain amount of her time on religious duties. Under such a system, church employees would presumably be required to clock in and out of different responsibilities within their jobs, lending an artificial and secular overlay on the nature of their work. 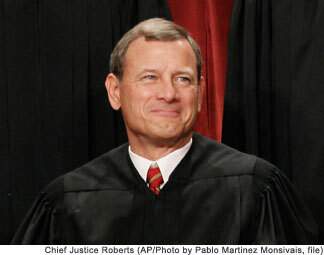 The Justices also didn’t spare their disdain for the position advanced by the Obama Administration. The Justice Department argued that the same First Amendment analysis should apply to churches as to social clubs. The Court called that argument “hard to square with the text of the First Amendment itself, which gives special solicitude to the rights of religious organizations. We cannot accept the remarkable view that the Religion Clauses have nothing to say about a religious organization’s freedom to select its own ministers.” Ouch. Also notable is a concurring opinion written by the unlikely duo of Justices Samuel Alito and Elena Kagan—think judicial cats and dogs living together—who add their belief that religious organizations should be protected in staffing decisions regardless of whether or not those groups “ordain” their ministers under the traditional understanding of that practice. Justice Clarence Thomas filed a separate concurrence arguing for an even broader interpretation of the ministerial designation than is suggested by Justice Roberts’s opinion. Justice Thomas reasonably argues that no outside body should be given power to overrule the church on any grounds in designating ministers. The decision closes off new avenues for employment lawsuits that would have been opened by Ms. Perich’s position. All 12 federal appellate-court circuits have adopted some form of ministerial exception over the years, but that failed to dissuade the Justice Department from claiming that giving churches discretion in hiring decisions would undermine the Americans with Disabilities Act.